Please plan to arrive at 6:00pm in order to be ready to begin at 6:30pm. There will be a Home Run Derby both nights. It is $5/person to enter. Prizes will be given to the winner in each age group. Opening Day is Saturday, March 15th (see Schedules below). Please be prepared to be at the park well before your game is scheduled! Pictures will also be made on Opening Day. The picture schedule will be completed tonight. 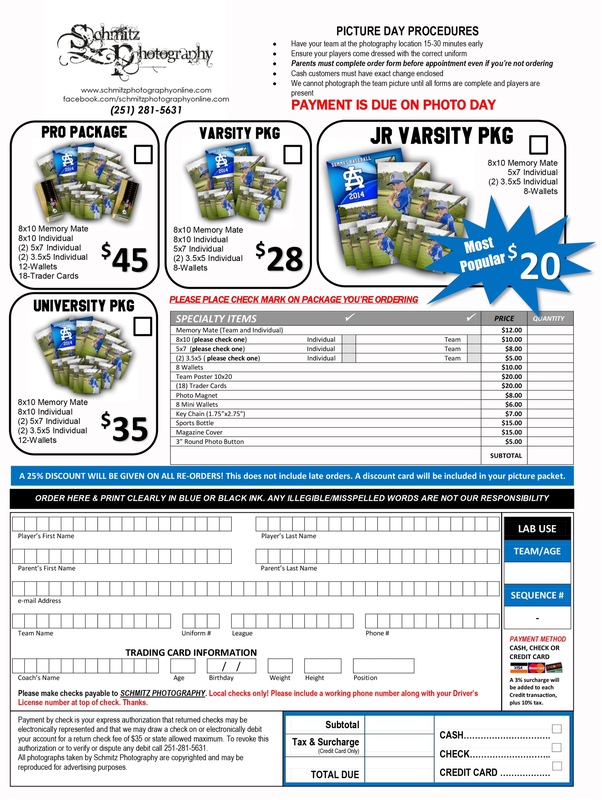 Please click here to view the order form for pictures so you'll be aware of the pricing/payment methods. Click here to view the 2014 Schedules. PLEASE NOTE: Schedules are subject to change! We have empty time slots at the end of the year that we use for rainout games; however, we may also move regular season games into those empty slots if we don’t have enough rainout games. This mainly occurs during the last two weeks of the season.